The philosophy behind these statements is, of course, that the best user experience comes when the software is perfectly suited for the form of the device it will be running on. Devices intended to be put in one hand or two hands or on a lap or on a desk are radically different. Cook’s argument is that this requires that the OS itself be suited to the form of the device. Apple has consistently refused to make toaster-fridges. With one glaring exception: iPad. Because Apple Watch is different from iPhone, it’s form is different,and it’s functions are different, its OS must therefore be different. Similarly, when Apple released AppleTV this fall, they likewise did not try to put OS X or even iOS on the TV; the way you engage TV is different, its form is different, and thus its OS must also be different. Merging those OSes together is a mistake the same way merging a toaster and a fridge together is a mistake; they have different forms and enable different functions and thus must be designed differently. So, at the end of 2015, even as Microsoft tries to have one OS everywhere, Apple insists on four separate OSes:3 OS X for Macs, watchOS for Apple Watch, tvOS for AppleTV, and iOS for iPhone and iPad. Notice the oddity?2 Each time Apple launched a product for a new category, they reinvented the OS to fit the new form, and retooled their applications to fit that new OS–eliminating functionality that don’t fit the new form (Safari for AppleTV) or adding functionality that is enabled by the form (heart rate monitoring for Apple Watch). Each time, the new form requires a new OS which requires new apps from Apple and from developers. 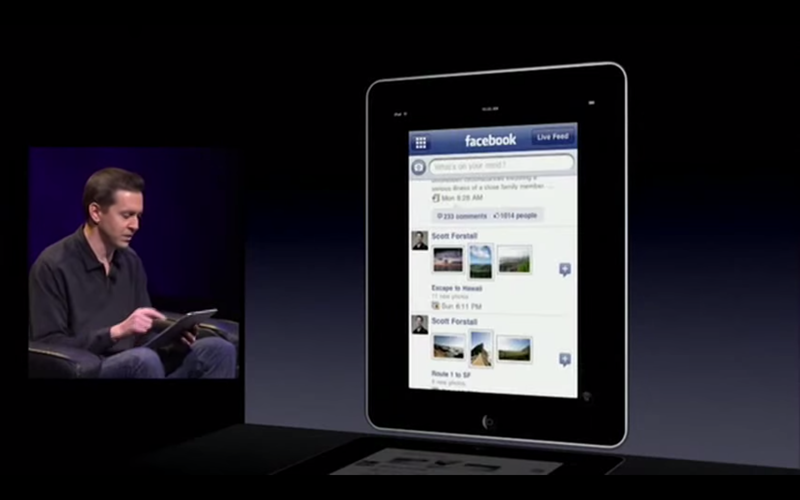 When Jobs introduced iPad and showed it to the audience, it was immediately clear: it ran iOS. But it didn’t run iOS the way that iPhone ran OS X or Apple Watch runs iOS; it was basically identical. Things had been changed–most notably the split-column view in things like Mail–but Apple went to great pains to identify that this was the same great iOS that was so popular on iPhone. Or this video in a shadowbox on the massive screen. The pixel-doubled apps weren’t much better. These “full-screen” apps weren’t really, a reality that became painfully obvious whenever the keyboard appeared. The great thing is, all those iPhone apps that you know and love, that you’ve already been running, will run on your iPad…and if the developer spends some time modifying their application, they can take full advantage of this large touch-screen display. It should be no surprise, then, that as iPhone size screens have increased, iPad sales have decreased. The significance of the one differentiating feature was reduced, even as iPad lagged behind in other new features.8 Further still, even the original iPad still works pretty well for the use cases Jobs laid out–web, email, photos, videos, and music–so unless you are a gamer demanding the highest performance, people who bought Jobs’ vision of iPad are still satisfied with the device. 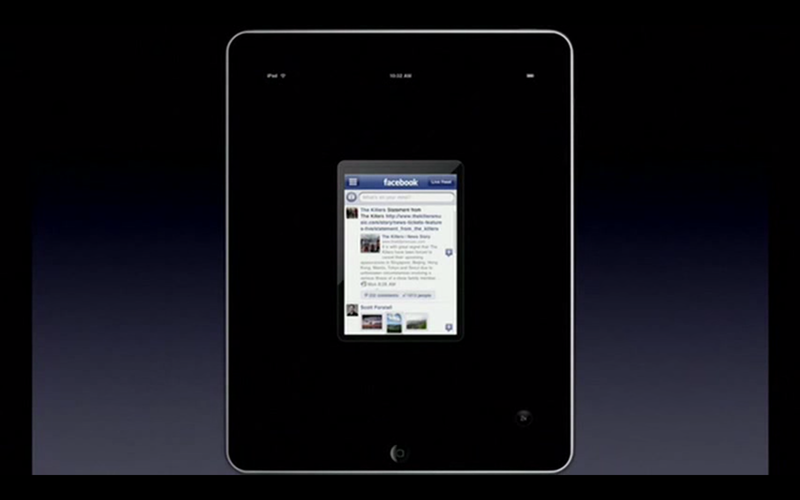 The problem is, Jobs’ vision of iPad was wrong. An iPad that ran iPhone’s OS could never be true to its form. It had to change in order to be true to its form and do what it only could do. It is in this context that we need to understand iOS 9 and iPad Pro. At WWDC, iPad received clear, focused, and deeply transformative changes as it gained a trackpad in the touchscreen keyboard, external keyboard support, action shortcuts in the QuickType bar, and several forms of multi-tasking. In each case, these changes in iOS 9 leveraged the unique form of iPad to enable functionality only possible or desirable on a screen of that size. 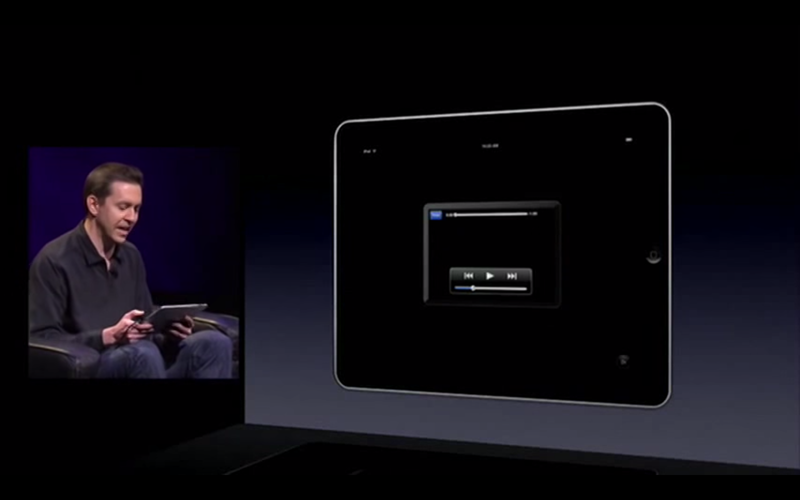 Notice, however, that in doing so, Apple labeled that section of the presentation “iPad. The fact that they needed to do so demonstrates how they are separating the toaster and the fridge. In previous announcements of iPhone-specific features (e.g. ApplePay), Apple didn’t announce that that section was for “iPhone”; the underlying assumptions is that iOS updates are so primarily about iPhone that they have to specifically mention iPad for iPad-specific features. iOS 9 is separating the toaster from the fridge, but still has a ways to go. iPad Pro furthers the separation of iPhone OS and iPad OS as it enables two apps to run truly full-screen side by side, a special port for an external keyboard, and Apple Pencil. Each element is designed to take advantage of the form of iPad’s large screen and enable functionality that simply would not be possible on iPhone. iPad Pro demonstrates the differentiation that is possible when it is allowed to be true to its form and not merely follow after iPhone. For iPad to succeed, Apple needs to focus on a third OS for mobile and free the iPad from iPhone-dependency so that it can be true to itself. By developing independent software, hardware, and services,9 iPad will be differentiated by more than its screen size and do what only it can do. Only then can the toaster and fridge be separated. You can subscribe to markdmill.com via RSS, Tumblr or by following MarkDMill on Twitter. If you enjoyed this article, you will also like The Irreducible Reality of Form. Every so often, I recommend an app that I think belongs on anyone’s iPhone or Mac. Today I’m recommending CopyFeed, the best clipboard manager for iOS or the Mac that I’ve ever used. There are many clipboard managers out there, but CopyFeed stripped away everything to its bare essence to create an incredibly fast and easy way to manager multiple clips.CopyFeed makes it incredibly easy to get data into it: just go to the CopyFeed widget and it automatically stores the text without you needing to do anything else. There’s also an action extension for more situations. To get back at something you previously copied, go back to the widget; when you tap the text, it copies it back to the clipboard. No need to switch apps, no need to switch keyboards (though it has one too!) and you can juggle copying multiple pieces of information simultaneously without pain and without fuss. Buy CopyFeed for the Mac and not only will it enable easy clipboard management on your Mac, it will also sync your clipboards between your Mac and iOS devices. The developer is fantastic, responsive, and a great guy–so great, in fact, that he’s giving away 10 free copies of CopyFeed to readers of markdmill.com! Codes will be posted on Friday, October 16th, so make sure to subscribe to markdmill.com via RSS, Tumblr, or Twitter so you don’t miss out! I’ve used other clipboard managers before, but CopyFeed blows them all out of the water for its ease and simplicity of design. Download CopyFeed today for use $1.99 in the iOS or Mac App Stores (see note below). It’s worth every penny for the time it will save you. < Previous Watchscreen: Binyamin Goldman, journalist and CEO of BZG, Inc. Completely understandable that there was never talk of the OS in the iPod (the device that saved Apple): that device was not open to a developer community and yet it still had its embedded OS. Also understandable is keeping the NEXT/UNIX-based “OS X” separate from iOS. OS X is a world class workstation operating system with essentials that still remain elusive under iOS (a user-level file system interface and the ability to easily print documents, just to mention a couple). iOS on the other hand is an embedded system OS for a cell phone that is growing into something more, but it’s still not on par with a fully functioning computer operating system. …and there was a macOS: good riddance! OS X saved the Mac when Steve Jobs replaced the old macOS lineage with a real UNIX derivative. Remember OS 9? …the ‘X’ was the clever fusion of the tenth major update and it’s new UNIX foundation. With OS X, the Mac was instantly raised above all consumer PCs to the professional workstation class. I would be extremely disappointed if Apple ever reversed the noble heritage of OS X and tried to dumb it down into the iOS domain. The real question of the toaster-fridge is how far can you go with a touch screen user interface? Microsoft seems to be gambling “all in” with Windows (a toaster-fridge-oven-dishwasher?). The truth is that fingers are “fat” and greasy and imprecise input devices. Evidence the Apple pencil as an attempt to break away from the lowest common denominator of the touch screen interface. The consumer’s tolerance level for a bunch of fingerprints on their device’s ‘view screen’ is the limiting factor. I, for one, like my screen clean and my OS ‘X’. Do you mean the entire iPad line needs its own OS brand, or just the iPad Pro? iPad Pro is making obvious that the OS itself must change to enable new functionality that is only possible with a larger form factor. So much is generally accepted & very clear in early reviews. I’d argue that there is more unique functionality that iPad could have because of its form that is being inhibited by its roots as an iPhone OS. So, yes, I’d say it needs its own OS for them all.